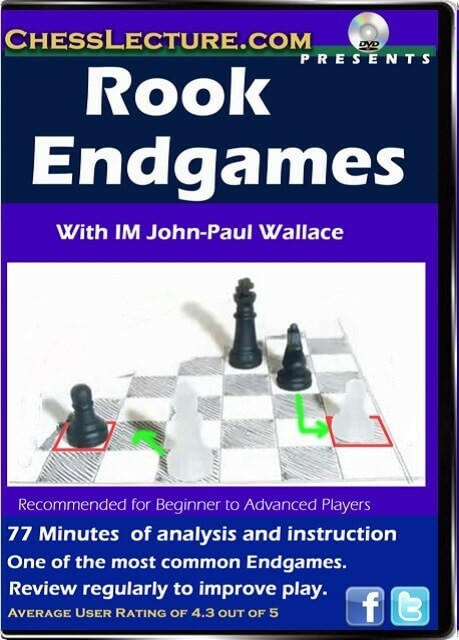 Rook endings are the most common endgame in chess. Endings with rooks and pawns occur in 8 to 10 percent of all games. This series teaches essential knowledge, without which you are helpless in these very common situations. You will learn how to play the Lucena position and how to execute the Philidor defense, as well as other variations you need to know.Content: 77 minutes of instruction and analysis in a series of 4 lectures. Fans on Chesslecture.com said: Very useful. I especially like that you cover a number of alternatives that each side can try if they want to play moves other than the most common/main line ones - those are the moves stronger opponents try on me, but now I know how to deal with them! IM John-Paul Wallace is from Sydney, Australia currently residing in London, England. 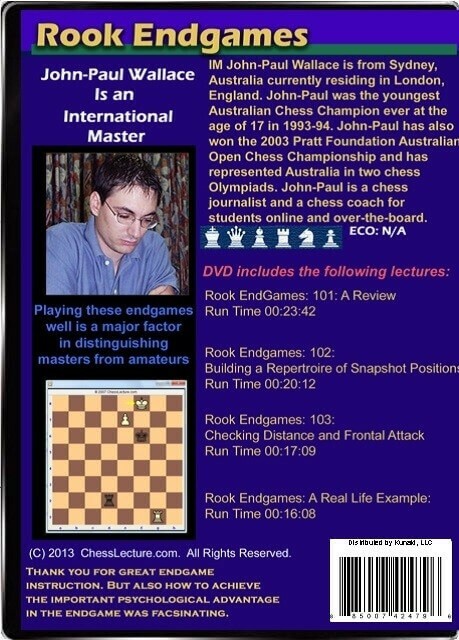 JohnPaul was the youngest Australian Chess Champion ever at the age of 17 in 1993-94. JohnPaul has also won the 2003 Pratt Foundation Australian Open Chess Championship and has represented Australia in two chess Olympiads.